The following paragraph uses this method. Notice how each new detail explains or expands upon the detail that comes before it. The ancient Egyptians were masters of math. They created an innovative number system using seven symbols. Each symbol was assigned a value, which allowed the Egyptians to add, subtract, multiply, and divide, and count into the millions. Main idea: The ancient Egyptians were masters of math. Example: They created an innovative number system using seven symbols. 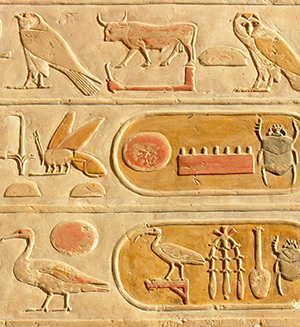 Explanation: Each symbol was assigned a value, which allowed the Egyptians to add, subtract, multiply, and divide, and count into the millions. This is just one pattern you can use to increase the level of detail in your writing. You can experiment with other combinations of details to elaborate your ideas. Your Turn Identify the main idea, example, and explanation in the following paragraph. Then write your own paragraph that models a similar pattern. All birds have wings, but not all birds use them to fly. For example, penguins can’t fly. Their wings function as flippers, propelling them through water rather than air. Elaborating Ideas Using Different Levels of Details by Thoughtful Learning is licensed under a Creative Commons Attribution-NonCommercial-ShareAlike 4.0 International License. Based on a work at k12.thoughtfullearning.com/minilesson/elaborating-ideas-using-different-levels-details.